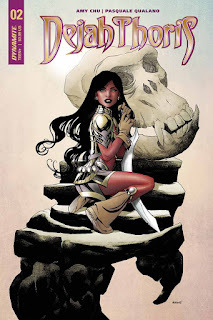 "...Dejah Thoris is on a secret mission to save her planet, but first she and the battle scarred 'Red Martian' warrior 'Sajad Surma' must keep the scientific team alive as they trek through the dangerous deserts of 'Barsoom'. 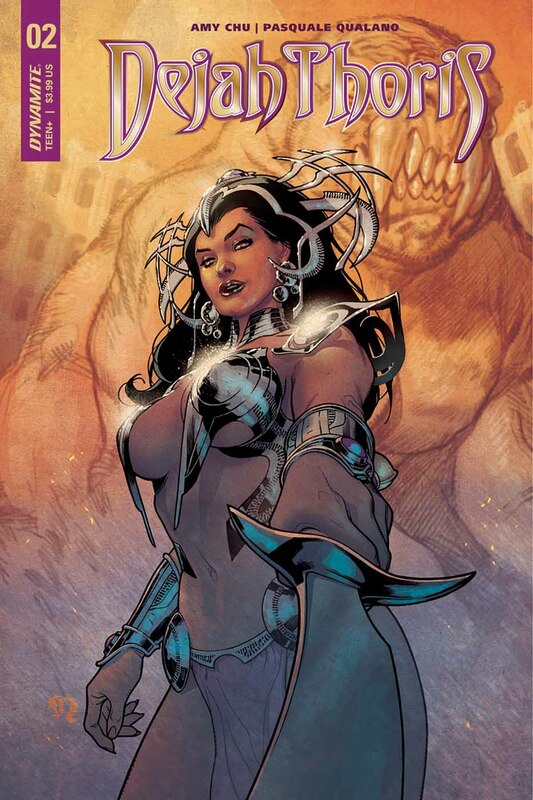 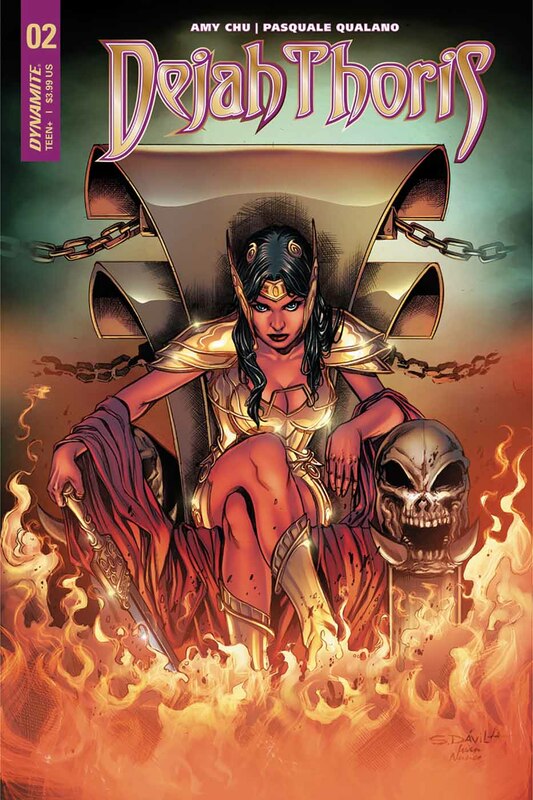 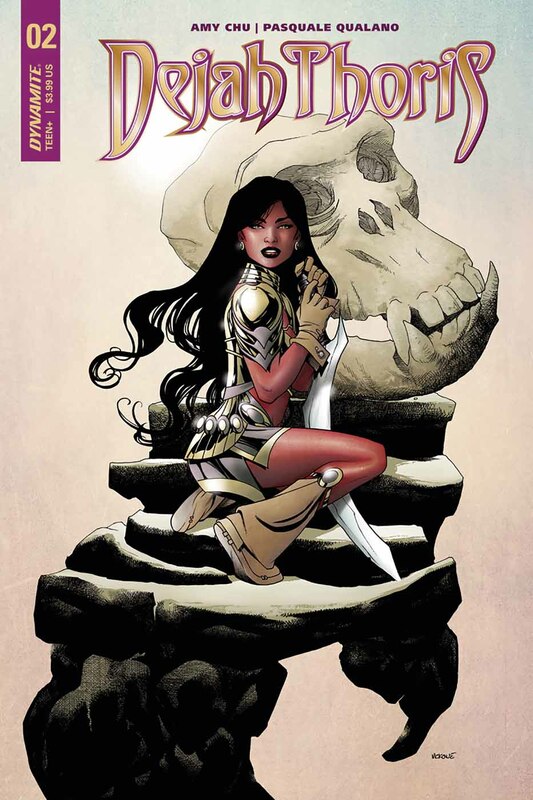 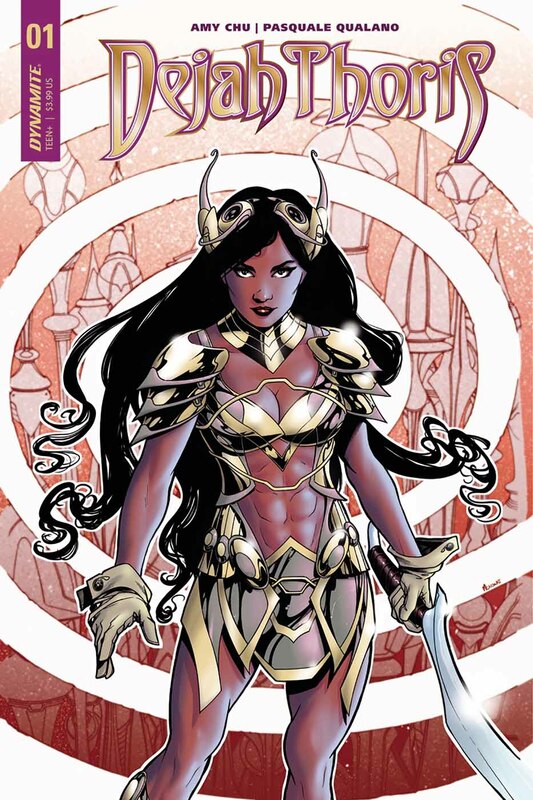 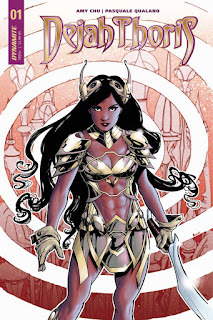 "Then the 'Princess of Mars' learns some hard leadership lessons after a deadly encounter with a white ape..."
Dynamite Entertainment's "Dejah Thoris" #1, is written by Amy Chu and illustrated by Pasquale Qualano, with covers by J. Scott Campbell, Frank Cho, Mike McKone, and Sergio Davila. 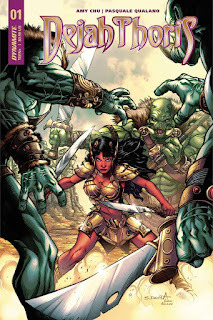 "...recruits her own expedition team of scientists. "...and the Princess learns the hard way, just how dangerous 'Barsoom' really is..."
Lynn Collins ("X-Men Origins: Wolverine") played 'Princess Dejah Thoris' in Disney's 3D, live-action fantasy adventure "John Carter". 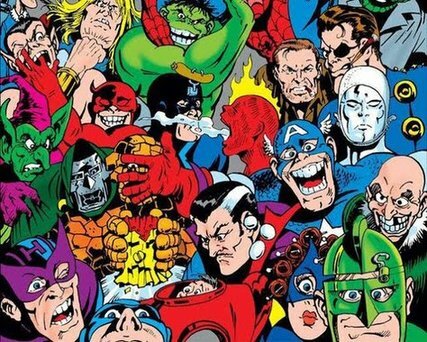 According to author Burroughs, "...the sight which met my eyes was that of a slender, girlish figure, similar in every detail to the earthly women of my past life. 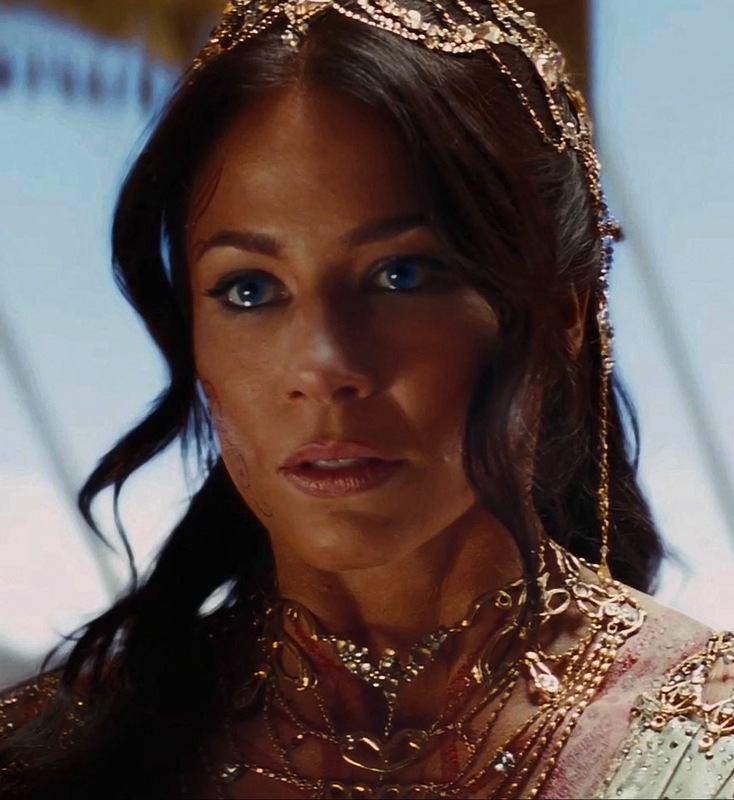 "Her face was oval and beautiful in the extreme, her every feature was finely chiseled and exquisite, her eyes large and lustrous and her head surmounted by a mass of coal black, waving hair, caught loosely into a strange yet becoming coiffure. 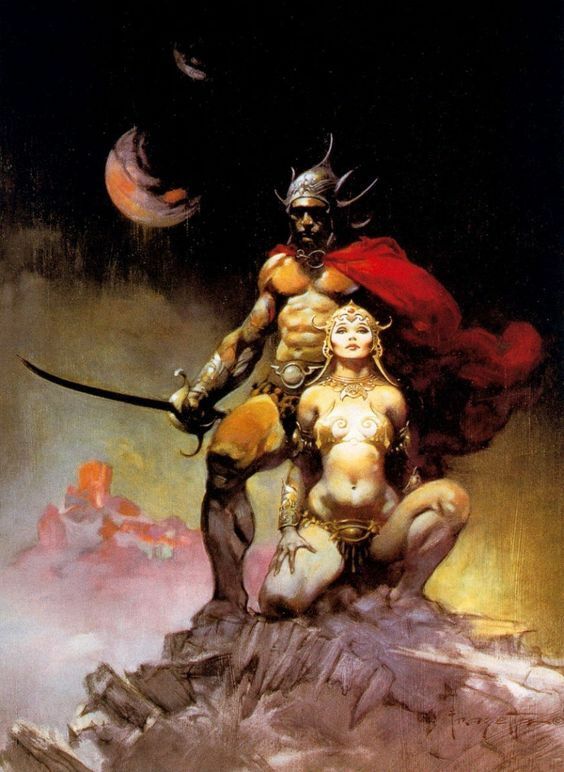 "Her skin was of a light reddish copper color, against which the crimson glow of her cheeks and the ruby of her beautifully molded lips shone with a strangely enhancing effect..."